From bed & breakfast Villa Elisa is possible to visit the historical center characterized by narrow streets overlooked by ancient doors that hide beautiful gardens, the largest beach on Sorrento coast, equipped with beach facilities, restaurants and bars where you can relax by the sea enjoying the delicious traditional cuisine. Because of its location in the center of Sorrento peninsula, Meta is the ideal place for your holidays and a perfect starting point for excursions and tours of the surroundings. Green hills behind, facing the wonderful sea that has as its background Naples and Vesuvius. 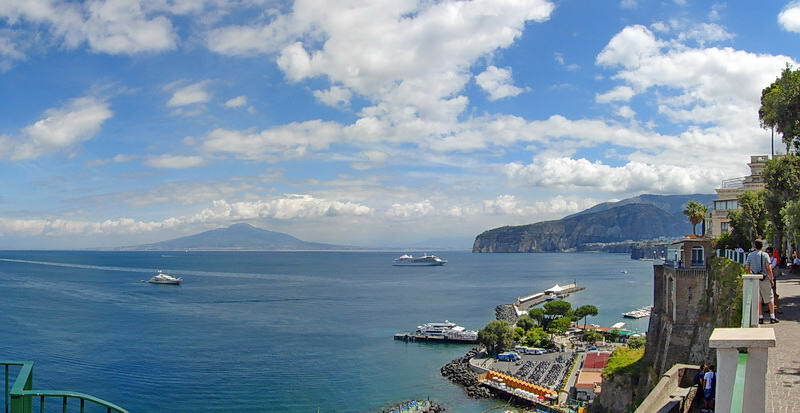 Sorrento is the pearl of the Sorrento coast whose historic center is rich in typical handicraft shops and monuments such as the Cathedral, the Basilica of San Francesco and the Sedile Dominova. Dedicated to the famous writer, Piazza Tasso is located in the center of Sorrento, a few steps from the Villa Comunale, often immortalized in beautiful postcards and from which to enjoy a breathtaking view. Beyond Sorrento we find Massa Lubrense, an area rich in beauty, which offers lovely walks to go inebriated by the perfumes of nature, a beautiful sea with crystal clear water and the beaches of Marina del Cantone, Nerano, the protected area of the bay of Ieranto and Punta dellla Camapanella. 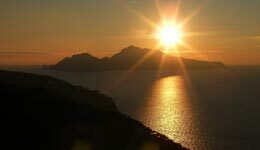 On the hills of Massa Lubrense is located Sant'Agata dei due Golfi overlooking the Gulf of Naples and Salerno. Once there you can visit the Church of Santa Maria delle Grazie, that's the center of the cultural and social activities of the city, the monastery built on the hill Desert, within walking distance from the center, where you can enjoy a wonderful view. And again walks among narrow streets and alleys of the village with an eye to the shop windows and another to the sea and the nature and when you are tired of walking, a refreshing stop at one of many restaurants and bars available to enjoy the good things the typical local cuisine has to offer. The most famous coast in the world through bends and breathtaking views takes visitors from countries such as Positano, the pearl of the Amalfi Coast, Praiano, which from its enviable location offers unforgettable views, Amalfi, rich in history and culture, and eventually Vietri, famous for the production of beautiful artistic ceramics. For lovers of trekking and nature walks the offer of paths and trails is endless, just think of the "Sentiero degli Dei" ("Path of the Gods") known as one of the most beautiful trails in the world and from which you can appreciate the beauty of the whole coast from a point of view definitely privileged. Easily accessible from bed and breakfast Villa Elisa, thanks to the proximity of the station Cicumvesuviana, Pompeii and Herculaneum need no introduction, they are simply the most extensive, rich and famous archaeological sites in the world. Perfectly preserved from the ashes of the eruption of Vesuvius, offer a unique and unforgettable experience to the visitor. It's like jumping into the past trying firsthand what life was like at that time of the Romans, not to be missed! 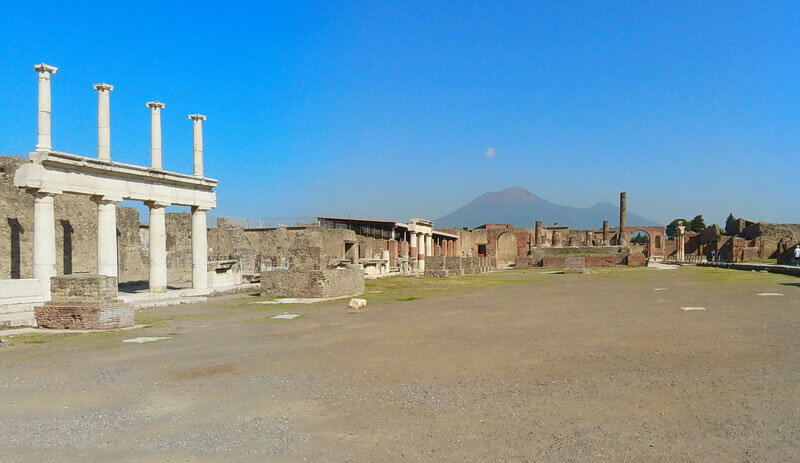 And how not to visit Mount Vesuvius and its beautiful park? 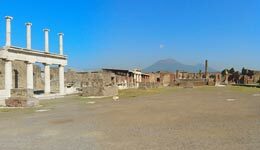 From the archaeological excavations of Pompeii, there are several buses than can take you you to the volcano quickly and easily. 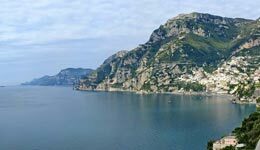 Gems set in the blue sea of ​​the Gulf of Naples, Capri and Ischia are yet another beauty to visit while staying in Meta di Sorrento. 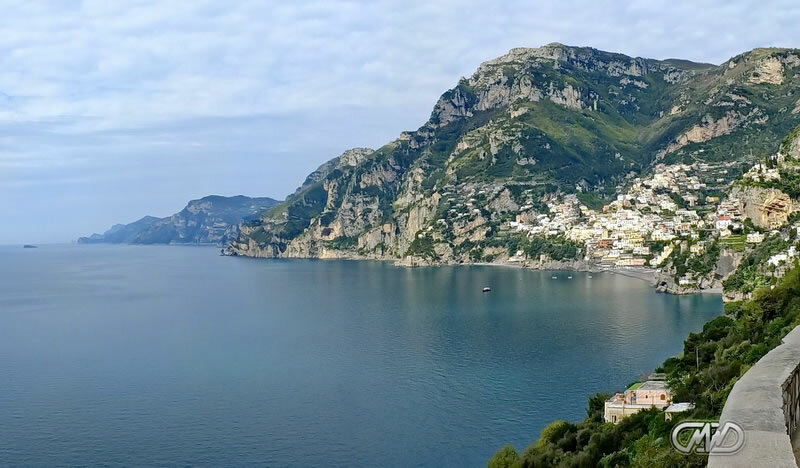 Easily reachable from the port of Sorrento are a popular destination for tourists because of the unpolluted sea, the pleasantness of the country and the natural beauty to visit. Once in Capri, in addition to the famous "Piazzetta" and the remains of Roman villas, you can visit the coast in search of the caves that made ​​it famous: The Blue Grotto, the Green Grotto and the White one. Ischia, with the wonderful beaches and all the villages that characterize it, is the home of spas where you can relax in specially prepared routes looking for relaxation and tranquility. This is just a taste of what you can visit while staying at the bed and breakfast Villa Elisa. 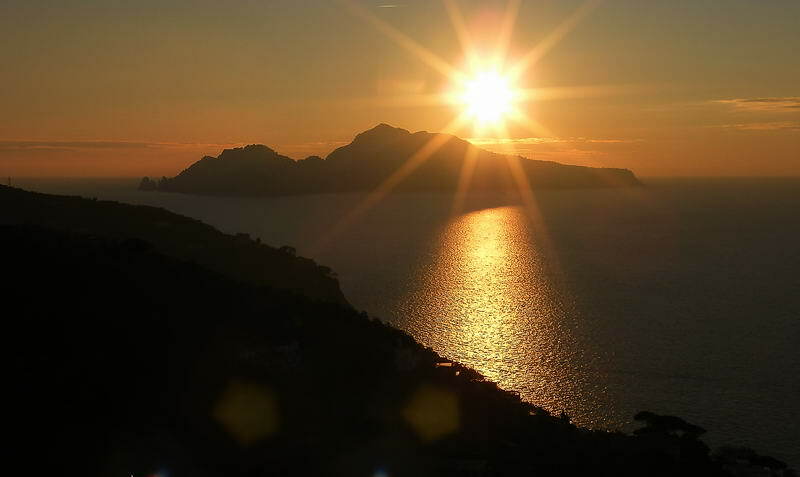 It will be a pleasure for us to welcome you and help you discover our country and spend an unforgettable holiday confident that you will be well enough to want to come back to visit us as soon as possible in Meta di Sorrento.